With the release of AMD's RV670 GPU, the company made some big steps forward in the graphics card market, as the chip corrected many of the problems with the Radeon HD 2900 XT. At the time of launch, we looked at the Radeon HD 3870 and were hugely impressed with the improvements made—and also the price that AMD's partners managed to hit with the card. AMD also introduced the Radeon HD 3850 at an even lower price point than the HD 3870, but we were unable to get our review of that card out in good time for a number of reasons. Our initial GeForce 8800 GT and Radeon HD 3870 reviews were done with a bunch of tests that were originally designed for a DirectX 10 performance update that was later canned and most of the tests included in those reviews were designed to work best on graphics cards with at least 512MB of on-board memory. The first batch of Radeon HD 3850 cards that arrived in our offices direct from AMD featured just 256MB of memory – this would've made it hard to show off the card's capabilities when all that we would have been doing was over-saturating the memory that's available. The last thing it would have represented is a 'real-world' scenario, which would have made it hard (almost irresponsible) to come to any conclusions based on that testing. We decided that the best course of action was to re-architect our testing scenarios for the Radeon HD 3850 to represent something that's more in-line with the mid-range price point that this card hits. This happened in amongst the various other product launches, the Christmas break and of course the jaunt to Las Vegas for the Consumer Electronics Show in January – it's why you're seeing this a little later than I would have hoped this to be. 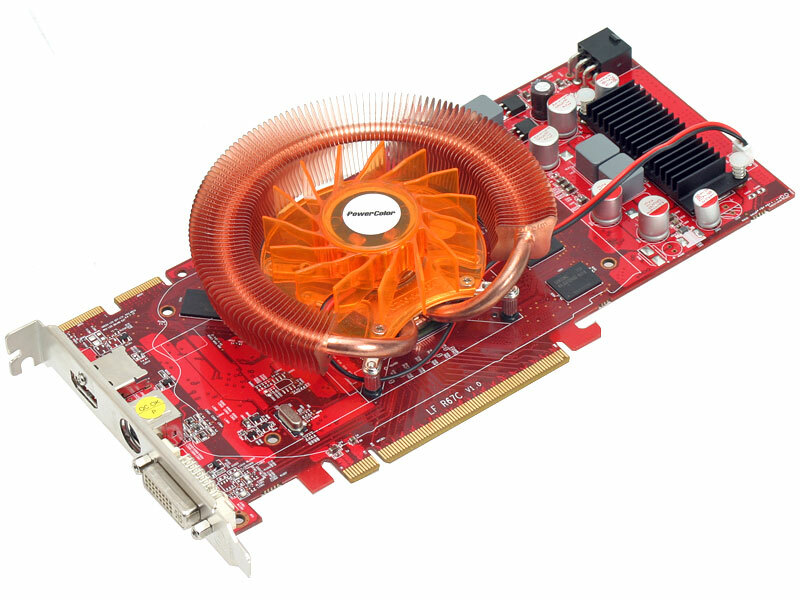 During that time, PowerColor's Radeon HD 3850 Xtreme PCS 512MB arrived in our office—the card we're looking at here today. It made sense to combine our Radeon HD 3850 reference card coverage with a review of this particular card, because there are a whole host of differences between the two that go far and above the different memory sizes. We've also ran Nvidia's reaction to the Radeon HD 3850—the GeForce 8800 GS—through our selection of game tests to find out where the best value for money currently lies. Being a fairly modestly-priced piece of kit, we weren't expecting a great deal in the PowerColor Radeon HD 3850 Xtreme's bundle and that's just about what we got. There's the obligatory driver CD (not pictured), a quick start guide, a molex to six-pin PCI-Express power connector, a DVI to VGA adapter, a CrossFire bridge, a component cable, a composite cable and a composite extension cable. 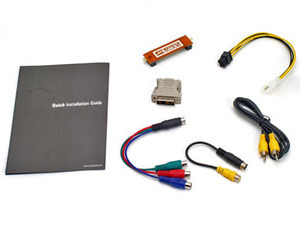 Because the card comes with a native HDMI connector, there is no need for a second DVI-to-VGA converter, but what we would have liked to see is an HDMI-to-DVI converter, so that users could run dual DVI monitors. I know that HDMI is making moves into 22 inch widescreen monitors these days, but that doesn't help someone that bought two DVI monitors a few years ago. 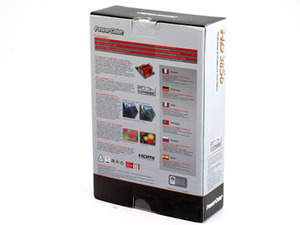 The box makes it clear that this Radeon HD 3850 has 512MB of GDDR3 memory and that PowerColor has used a Zerotherm-optimised cooling solution which is dubbed "Professional Cooling System." Interestingly, there's no mention of the fact the card supports HDMI on the front—that's something I was surprised about—and, what's more, there's no information to suggest that there is only one DVI connector on the card until you open the box. 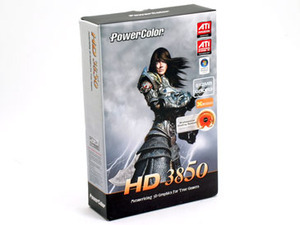 Instead, PowerColor has just used what looks to be the standard marketing material from AMD, with one of the key features being "Built-In HDMI with 5.1 Surround Sound." The words underneath this heading indicate that HDMI isn't native and instead uses an adapter. 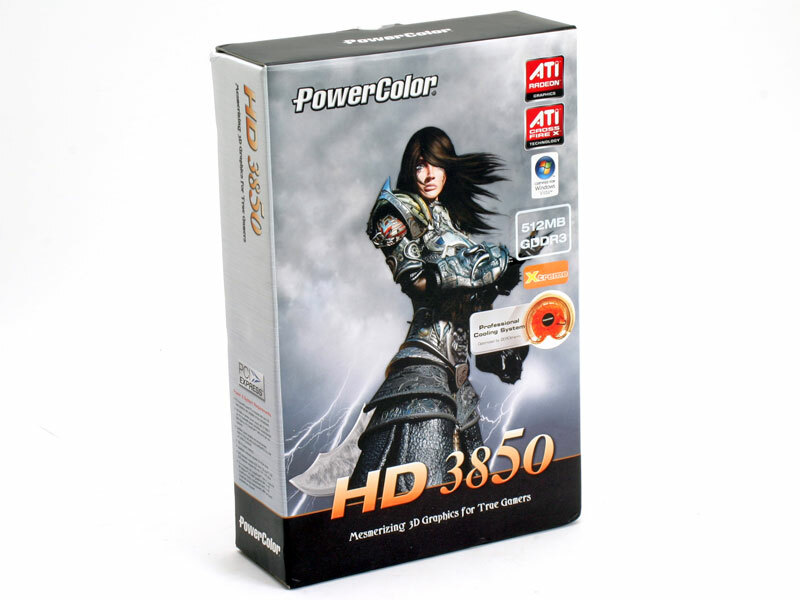 "The ATI Radeon™ HD 3800 Series GPU has a [sic] built in HDMI with HD audio support for single HDTV connectivity. This unique feature is enabled with an intelligent DVI to HDMI adapter; no internal SPDIF or other audio cabling is required," it says.